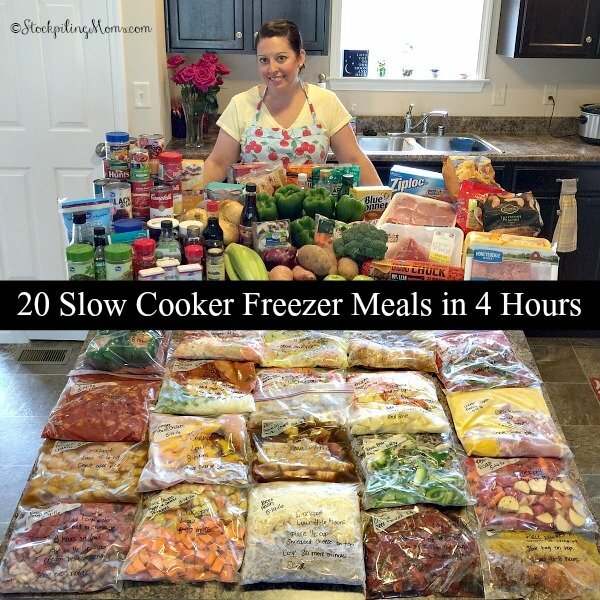 How to make 8 Freezer Meals in 2 Hours is simple and you will have 8 dinner recipes that will be ready to throw in your crockpot. It took me only 2 hours from starting the process to cleaning up my whole kitchen. I love to make freezer meals to help save me time in prepping and preparing dinners for my family. 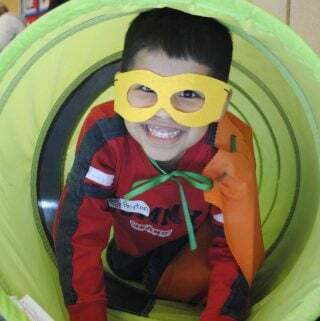 My three boys are constantly on the go with school and after school activities. My oldest son has now started weight lifting and conditioning after school three days a week for football. I have to pick him up at the local high school at 5pm and that is when I am usually getting started in the kitchen to make dinner. I decided to to some research and find freezer meals that sounded good for my family. First of all invest in a good quality slow cooker. Our favorite is this programmable cook and carry 6qt oval slow cooker. 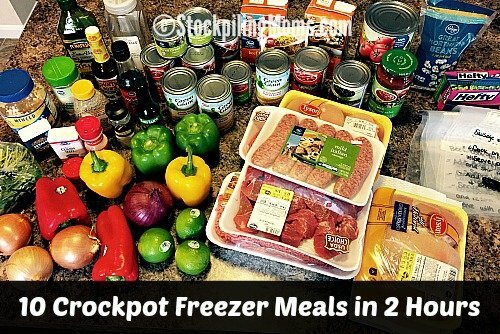 By choosing these meals I did not have to pre-cook any of the meat or poultry in these freezer meal recipes. 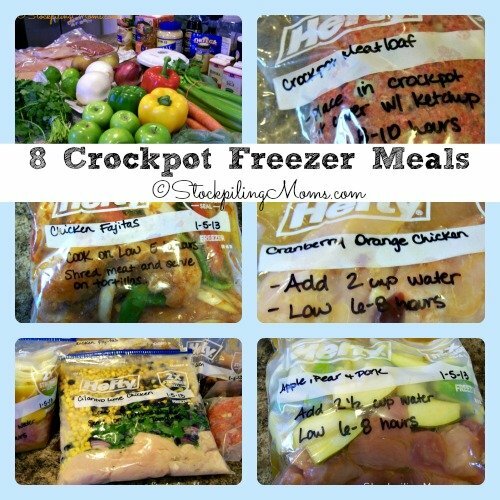 That is a huge time saver when prepping freezer meals! I started off my making a list of what I needed for each recipe. Next I went to my kitchen and pulled out what I already had for each recipe. Then I made a shopping list of what I needed to get at the store. I had most of the spices and meat in my kitchen. So when I went to the store I mostly had to buy fruit, vegetables and freezer ziploc bags. When I got home I arranged on the ingredients on my table. Got out my cutting boards and knifes. Put my apron on and started with labeling the ziploc bags first. I had each recipe pulled up on laptop and would write the instructions on the bag along with the date. 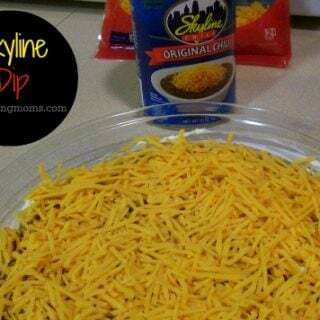 Next I started with a recipe and followed step by step the directions from the recipe and filled the bag. I would then move on to the next one. I just followed each recipe and then I laid the crockpot freezer meals flat in the freezer with the exception of the Crockpot Pear, Apple and Pork Dinner I stood the bag up. 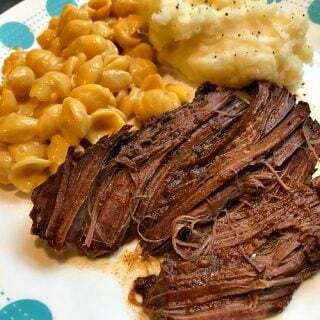 That day when I wanted to cook them I would pull them out the night before and let thaw in the fridge overnight except for the Easy Crockpot Meatloaf. I put it in the slow cooker still frozen and cooked it, but you can do it either way. 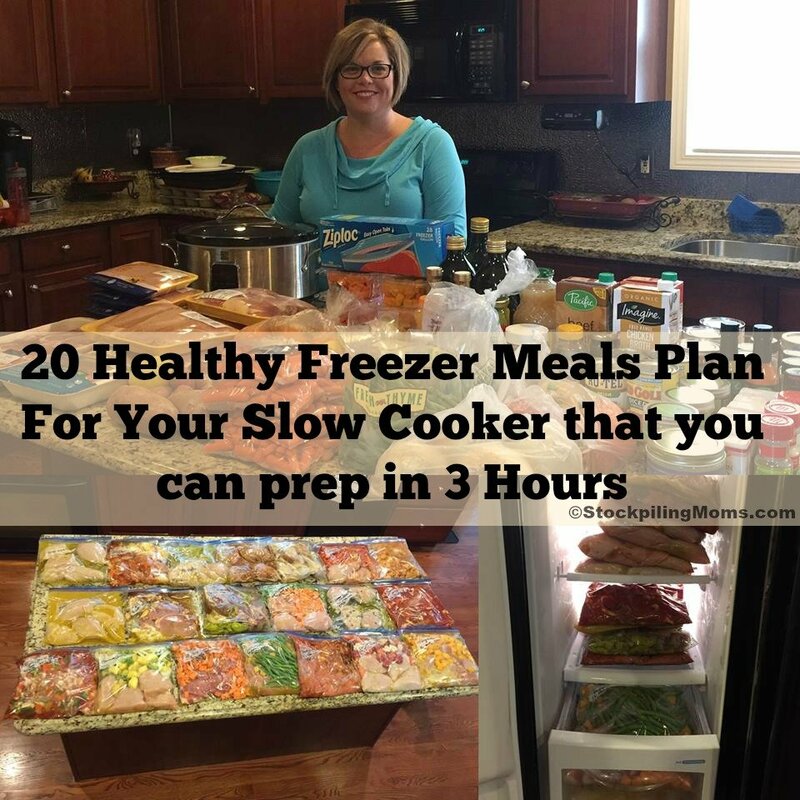 By preparing these 8 Freezer Meals saved me so much time for the week and we had wonderful family dinner meals every night. No fuss in trying to get homework done and dinner on the table. This is perfect for expecting mothers or if you are preparing for surgery. 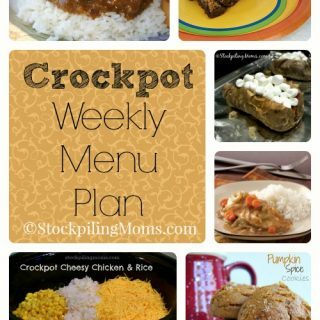 It really helps busy working Moms stay ahead of the game by prepping in advance and using your slow cooker you menu planning woes are over! 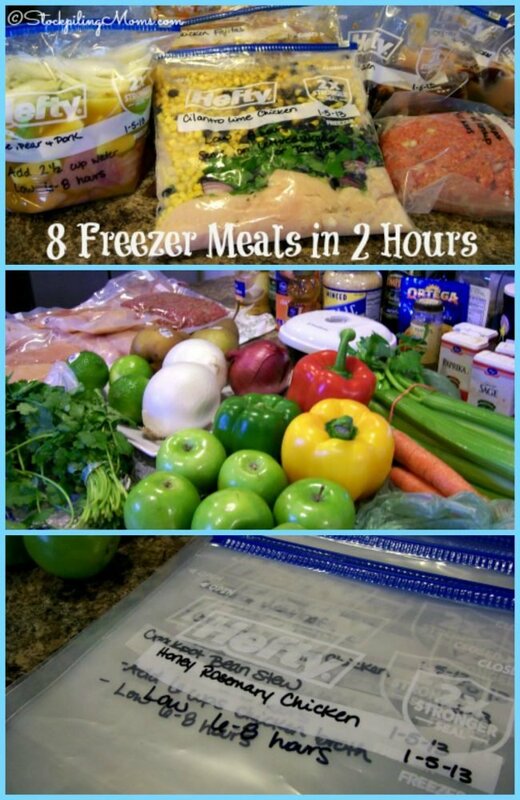 Another great plan is this 20 Freezer Meals in 4 Hours Plan (with printable shopping list). 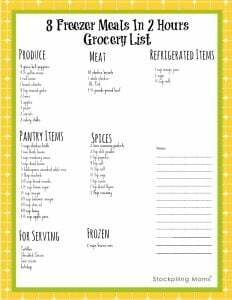 Print the Grocery List for this freezer meal plan HERE! 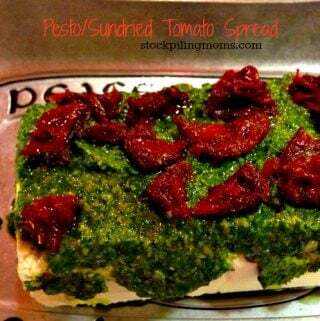 Love this and hope to be able to try it soon. 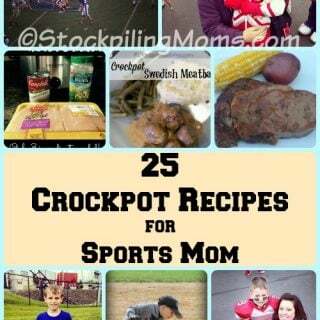 Looks like some yummy recipes and would come in handy on those nights I don’t know what to have or a busy day and supper ready. You will love it Kathy! I absolutely love freezer meals! 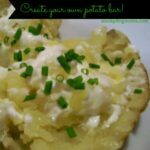 These recipes look so easy to prepare with no hassle! 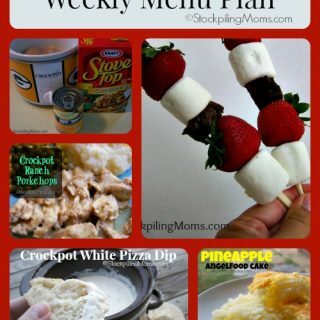 Do you have a shopping list made for these meals? 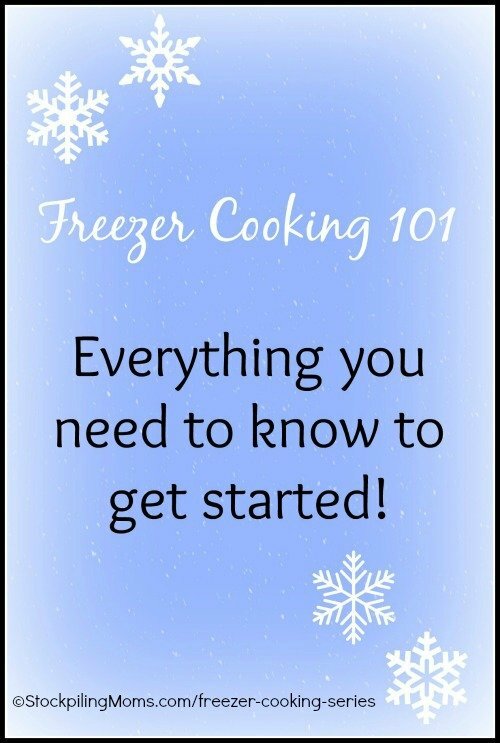 I have always wanted to try to prepare freezer meals but was always intimidated. I think I can do this. Does that mean that we don’t need the whole chicken at all? Or that we’re supposed to use the meat from the whole chicken in addition to the 10 chicken breasts? 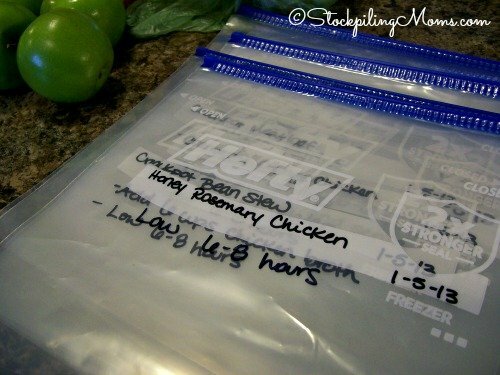 What size ziplock freezer bags do you use? Right you are going to Prep and Freeze. Then you are going to pull out and thaw and cook. Enjoy! Thank you very much, I just went grocery shopping and I am starting everything. You are a time saver! Thank you! Silly silly question coming up. I don’t own a crockpot *gasp*, because I absolutely love my pressure cooker. Do you have any idea if these would work great with pressure cookers? I feel like they would, but don’t know if you’ve done it. 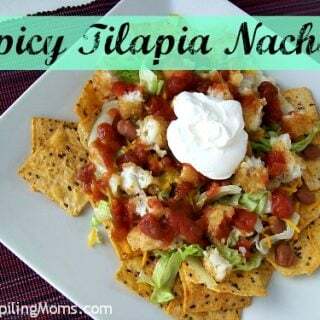 The recipes look deelish, and my family would LOVE this. This might be a REALLY stupid question but I am new to this freezer meal/crockpot thing so please bear with me… 🙂 I made the chicken fajitas already and they were really good! But I had just bought the chicken at the grocery store so it was NOT frozen when I put everything into the freezer bag. I am going to make a few more of the chicken freezer meals soon but now all of my chicken is already frozen. I am thinking it is not a good idea to thaw the chicken and then refreeze, correct? So then should I just put the frozen chicken right in to the freezer bag with the other fresh ingredients? Or should I keep the chicken frozen separately in a different bag/etc until I am ready to put into the crockpot to cook? Sorry again if that is a really dumb question. 🙁 Thanks for any help you can give!! Not dumb at all! Yes, do not thaw and refreeze. You can either put in frozen with the other items or keep it separate. Either way will work for you! Good luck! 2 weeks ago…. I Googled “CP Meatloaf”…. and found your recipe. It came out so perfectly! Later I realized that 2 of my favorite (most shared) recipes came from the same source. This morning I spent 10 low-effort minutes making 11 lbs of meatloaf… while my husband made delicious breakfast burritos out of the leftovers from Christmas morning breakfast casserole. Thank you so much! We are so glad you like the recipes! I bought all the ingredients on the list yesterday and started prepping today! Yay! 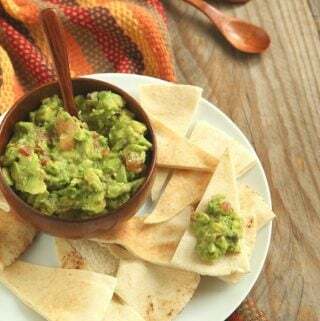 We doubled the Chicken Fajita Meal (that is a family favorite so we always make (2) when we do this plan). I love your freezer meals! They have made things so much easier. I have a question though: what if I forget to thaw the night before? 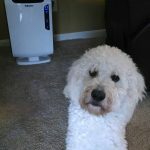 Do i just adjust cooking time and increase it? I tend to forget to thaw the night before too much and need to set a reminder on my phone! Don’t worry – I have often forgotten that too 🙂 You can run under hot water and then proceed without concern. This sounds pretty wonderful. Can’t wait to try it! What are the meal portions? These meals feed a family of 4/5 with no leftovers. Thanks! I can’t wait to try this out. I am starting with the 8 meal plan and if it works out will try the bigger plans. 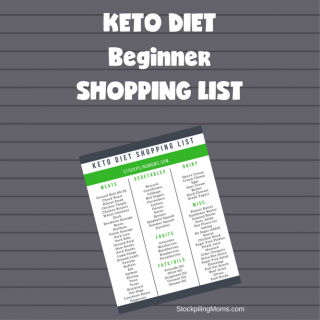 My wife and I have been talking about this type of meal prep for a long time and I just spent the morning downloading and organizing all of the recipes and shopping lists. I usually cook but this will make the week much easier and i wont need to fire up the grill every night. Thank you for the recipes! I’m trying out the 8 meals this week. I have one question, though. It’s just my son and I,so I was thinking about cutting the meals in half (then I’d have 16 meals!). Would the cooking times change? Thanks, again! No, they wouldn’t but use a smaller size crockpot. 🙂 I would suggest a 2.5 or 4 qt if you 1/2. For the orange cranberry chicken, the recipe says “one pound of chicken or one whole chicken” but the grocery list just says one whole chicken… so I bought a 7 pound chicken. Is there anyway to still make this recipe work? 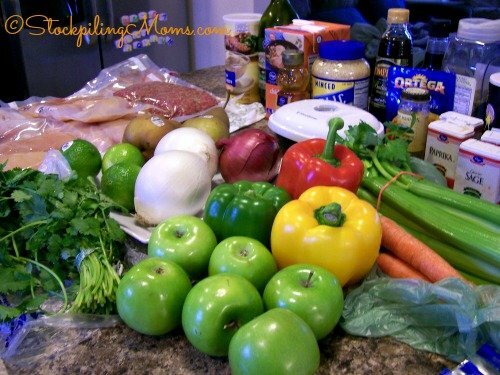 This would be a great recipe to use for the whole chicken – https://www.stockpilingmoms.com/2015/12/crockpot-2-ingredient-whole-chicken-recipe/ or https://www.stockpilingmoms.com/2013/10/slow-cooker-whole-chicken/ – We love both! You can also use the Whole Chicken. Normally a whole chicken will render you 2 lbs cooked chicken off the bones so you can use this recipe with the whole chicken. I’m cooking for just two people, could I split each recipe into two separate bags? Or would it be best to just eat the leftovers later that week? 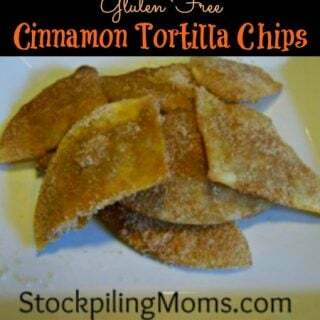 You can split them up just be sure to cook in a smaller slow cooker. We use a 6 qt so I would use a 4 qt. Enjoy! I made all of these 8 freezer meals for a family member after her first child was born. Since they are only a family of 3, we split all the meals in 2 bags. Do you recommend the same amount of cooking time or should they shorten it since there are smaller portions. I would suggest you use a smaller crockpot at the same time. A 4 qt or smaller. About how much did you spin $$$$$ on all of this? 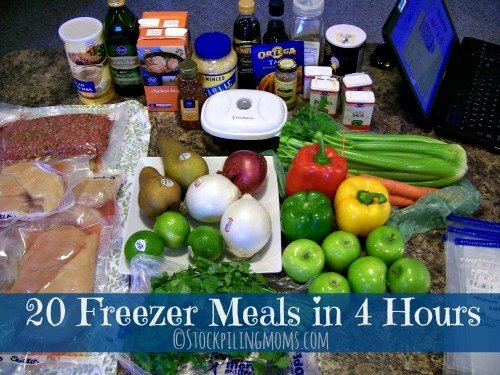 How long do the meals keep in the freezer for? Thanks for posting this! 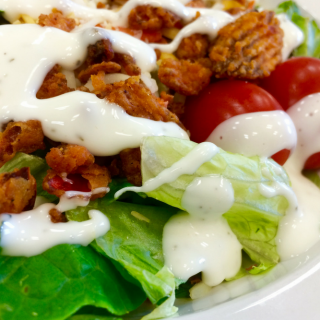 One thing to add – on your grocery list for all of these recipes, you didn’t include “orange juice” anywhere on it for the orange cranberry chicken. Thankfully I have some at home but everyone might not! 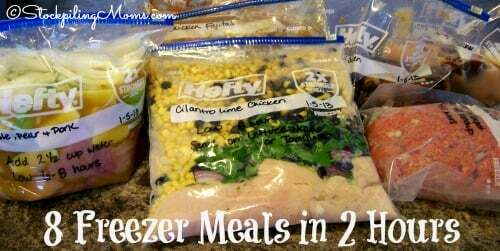 What size freezer ziplocks do you use? I’m assuming they’re gallons but I can’t quite tell from the photos. Thanks!